After many years of travelling, I tend to pack without too much thought, but when it came to packing for Iceland, I found it somewhat daunting. I’m not used to travelling to really cold places and I also knew that the weather there is famed for being erratic. 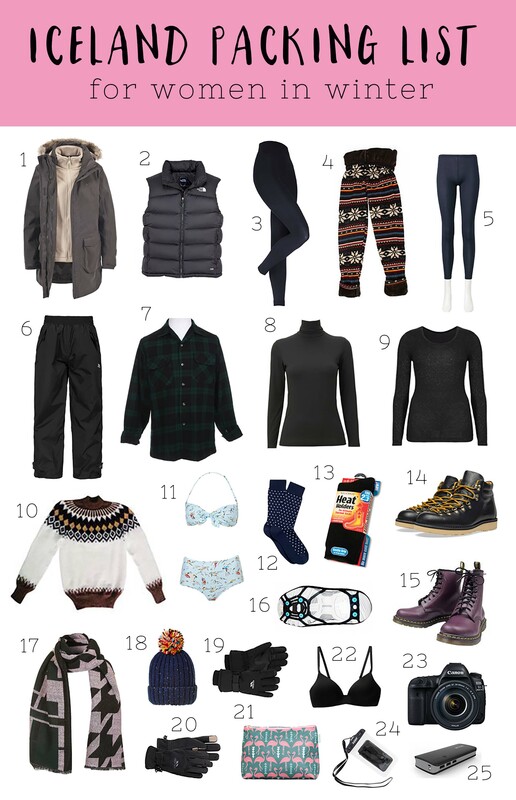 But I did my research and ended up with an ideal packing list for Iceland. To save you the trouble, here’s what I brought with me. I was in Iceland for five days in January, so this would suit winter trips. I’ve also written a guide to Iceland’s ice caves, an Iceland photo inspiration post, and a full five-day Iceland itinerary posts, including what we did, where we stayed and how much it all cost. The key to packing for Iceland is layers. Although it’s cold outside, it’ll be cosy and warm inside, so you’ll want to be able to adjust for each temperature. A good, waterproof winter coat is essential. Mine was from Trespass and had a detachable fleece lining, which made it extra cosy. If your’s doesn’t have a fleece, then bring a separate one as that’s an ideal extra layer. My North Face down vest is one of my favourite things. It packs down really small, but is also super warm. Leggings are ideal for Iceland, being both easy to layer and good for moving around in when you’re doing some of the adventure activities. And unlike jeans, they dry easily. I chose to bring three different types: thermal, fleece-lined and normal cotton ones. The most important ones were the thermal leggings. These come in a variety of different styles, but the ones that I like most are this pair by Heat Holders – they are incredibly cosy and fleece-lined as well as thermal. My other thermal leggings are a much thinner pair from Uniqlo that offered a good layer, but weren’t as thick and cosy as the Heat Holders. I also brought some simple fleece-lined leggings to wear over the thermals. These were also very cosy, but I find that they can get quite cold if you wear them by themselves, hence why I like to add the thermal layer too. And I brought two pairs of normal leggings as a “just in case” layer and to wear on the plane/in the hotel room. If it’s really wet weather then having a pair of waterproof trousers is a good idea. These ones from Trespass pack up nice and small, so you can bring them around with you in a day bag. I wore them in the evenings when we went on a northern lights hunt as they were a useful extra layer. For your top half, thermals are a good idea. I love Uniqlo’s HeatTech range, which comes in warm and extra warm. The polo necks are especially great for Iceland or anywhere freezing. Marks and Spencer also does a good range. I have this sparkly one and a black long-sleeved vest. A flannel shirt is also a handy extra layer for those moments when a jumper is a bit too much (or not enough and you need the extra warmth). 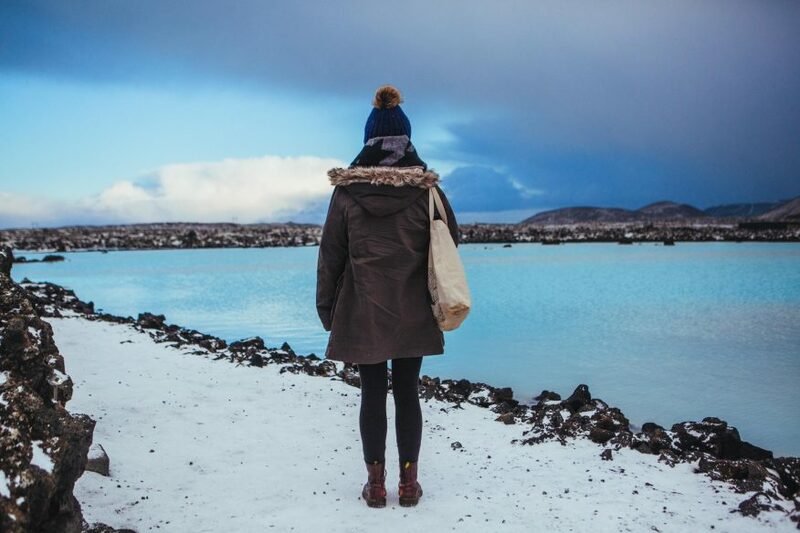 You’ll see many Icelanders in cosy, woolen jumpers, and you’ll be wanting one too. I brought two with me – a classic Andean jumper from Peru and a chunky knit from Pull & Bear. And don’t forget you bikini for going in the hot springs! Having cold feet is no fun at all, so make sure to bring suitable footwear. 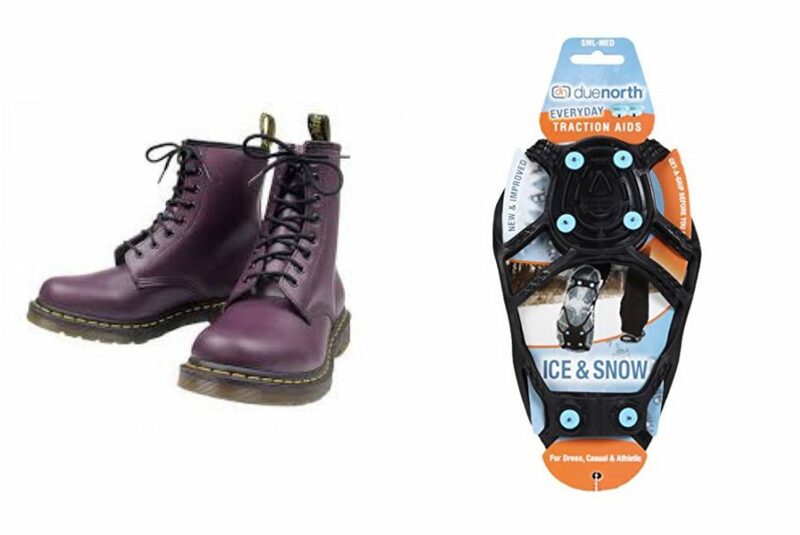 Waterproof snow boots would be ideal, but as I don’t have any of those and didn’t want to buy any just for the one trip, I bought some normal, waterproof hiking boots, plus a pair of DMs. I didn’t really need the DMs, but I brought them with me because I’m not a fan of my hiking boots and didn’t want to wear them around Reykjavik. This was a pure style over sensibleness choice. I also recommend getting some shoe spikes as Iceland’s paths can be very slippery, especially when you’re visiting waterfalls. You could use proper crampons or get a pair of these rubber ones, which is what I had. They’re really effective and made a huge difference when walking around. And don’t forget some thermal socks. Mine are Heat Holders like my leggings and they are amazingly toasty. Also bring some normal socks for layering with the thermal ones. 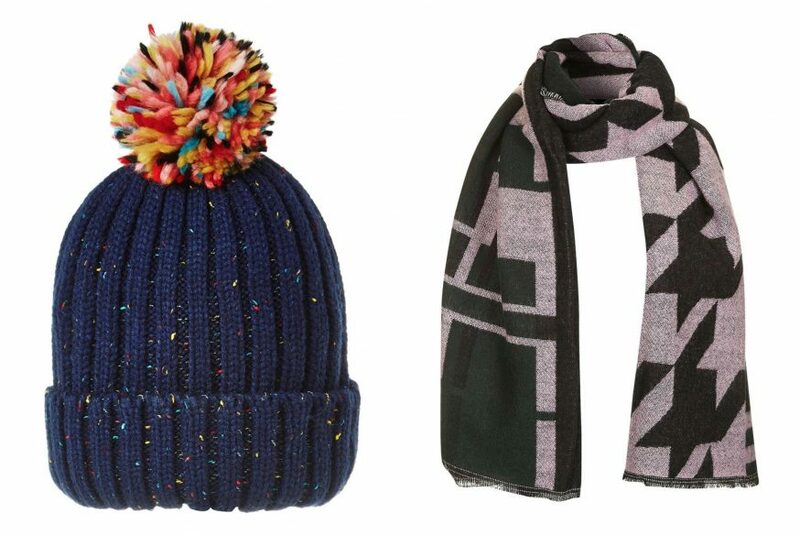 Iceland is a place where you won’t want to forget your accessories – they’re essential for that added warmth. Pack a warm scarf and hat, and some good, waterproof gloves. As my waterproof gloves weren’t touchscreen-compatible, I wore a thinner pair underneath, which had fingertips that could operate my iPhone (I got mine from Trespass). That way I could take photos without having bare hands. My scarf was from Topshop and my gat from Accessorize. All the other things you need are no different to your usual travel needs, including wash bag, underwear, camera and portable charger. 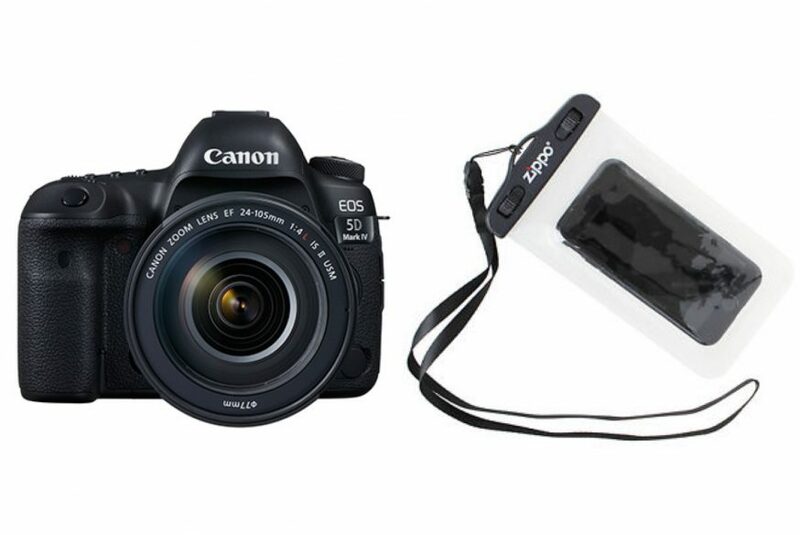 You might also like to bring a waterproof camera cover so you can photos when it’s raining or at the hot springs. I also made an all-seasons packing list for trips around the world. And here are some more posts on Iceland: A guide to Iceland’s ice caves, an Iceland photo inspiration post, and a full five-day Iceland itinerary posts, including what we did, where we stayed and how much it all cost. Bookmark road.is, vedur.is and safe.is to keep up to date with all the latest weather and safety reports. You’ll definitely need these if you’re driving. If you don’t fancy driving, there are plenty of great tours. Browse Iceland Travel to see what’s on offer. Don’t bank on seeing the northern lights. Instead, make sure you plan a trip that you’d be happy with even if you didn’t see them. Book your car with Sad Cars for the best price. They hire out slightly older cars than the mainstream dealers, but all are still safe. For all other car rentals, we recommend booking with Rentalcars.com. We’ve found they always have the cheapest deals for mainstream retailers. We found great last-minute deals on Booking.com, getting a discount of up to 60%. See more tips in our full Iceland itinerary. I plan on taking a trip to Iceland in the summer, but now you have me wondering if I should go in the winter. Do you have any advice? I’m afraid I have only ever been in Winter, so I can only tell you that I loved it at that time of year. That said, I’ve heard great things about the summer and I intend to visit then too. 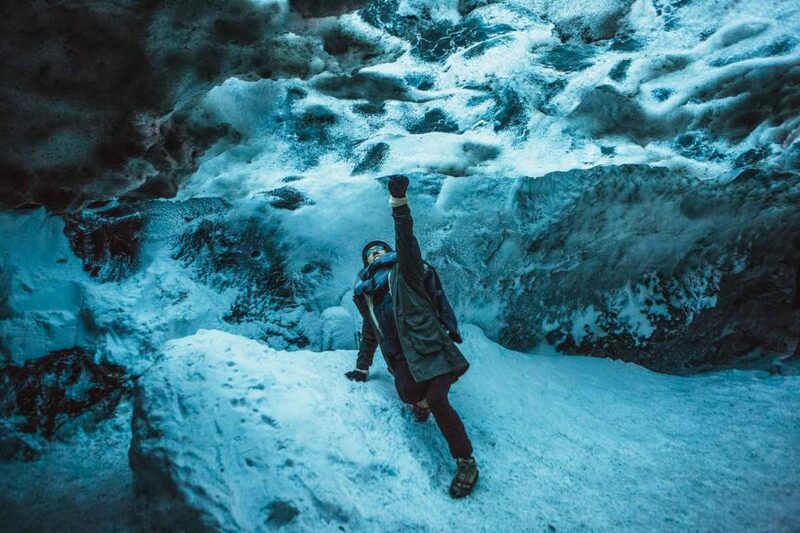 One thing to note is that if you’re keen on seeing the ice caves, they only exist in wintertime. Have a great time! 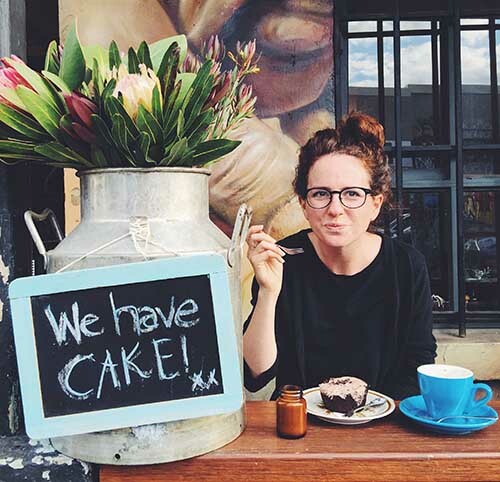 Great list of everything at a place, you have made it easy. Thanks for sharing the list. Wow that’s an awesome collection. Surely, this list is going to be in my check list for my next trip.